To many everyday people in Korea, 1997 is remembered as one of the worst years of their lives. The economy crumbled before their eyes. Banks collapsed, prices rose and jobs vanished into thin air at the height of the Asian financial crisis. 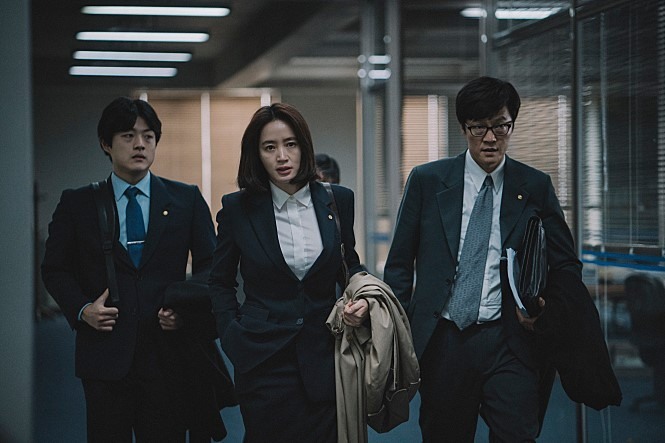 “Default,” an upcoming drama directed by Choi Kook-hee, looks behind the events that unfolded in Korea as the country hit its lowest point financially in its modern history. The flick stars two of the hottest stars in Korean cinema today: Yoo Ah-in as former banker Yun Jeong-hak, who tries to use the economic crisis as an investment opportunity, and Kim Hye-soo as Han Shi-heyon, an official from the Bank of Korea who is a person of principle trying to do what is right. “As an actor, it is not often that you get to show a completely new side to the audience,” said Yoo about his character. 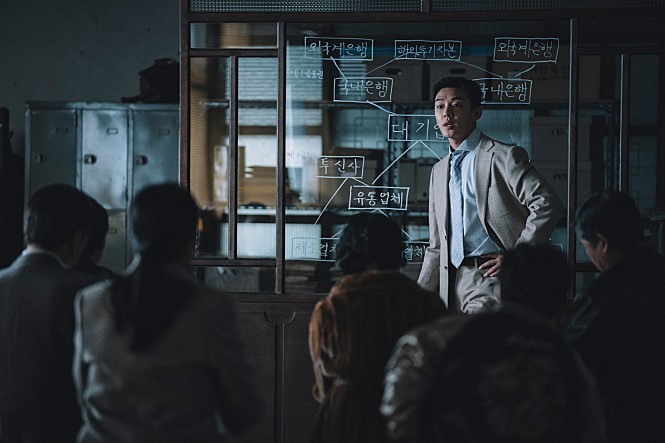 “For the audience, I think it will be a chance to see a more human side of actor Yoo Ah-in,” he said, adding that people will be able to sympathize with his character. At the other end of the spectrum is the vice minister of finance played by Jo Woo-jin, another person with strong principles who differs with Han in how to deal with the crisis. “He is not a person you would want to root for -- as you’d see in the film -- but his acting sends out such sparks that you cannot but help be captivated,” said Kim on Jo’s acting, indicating he will be the main antagonist in the film. Another person expected to play a key role is Vincent Cassel, taking on the role of the managing director of the International Monetary Fund. Making his first appearance in a Korean production, his character will present a challenge for the Korean government during the negotiations for the bailout. “Personally I’m a fan (of Cassell), especially his earlier works. He came to film in the icy winter season, but his professionalism was inspirational,” said director Choi. The production team said the story was inspired by a single line in a news article that said that a government task force operated specifically for the bailout negotiations. While the film mainly focuses on closed-door negotiations, one character expected to be crucial is Heo Joon-ho’s Gab-su, an everyday man trying to make ends meet. The film opens in theaters on Nov.28.